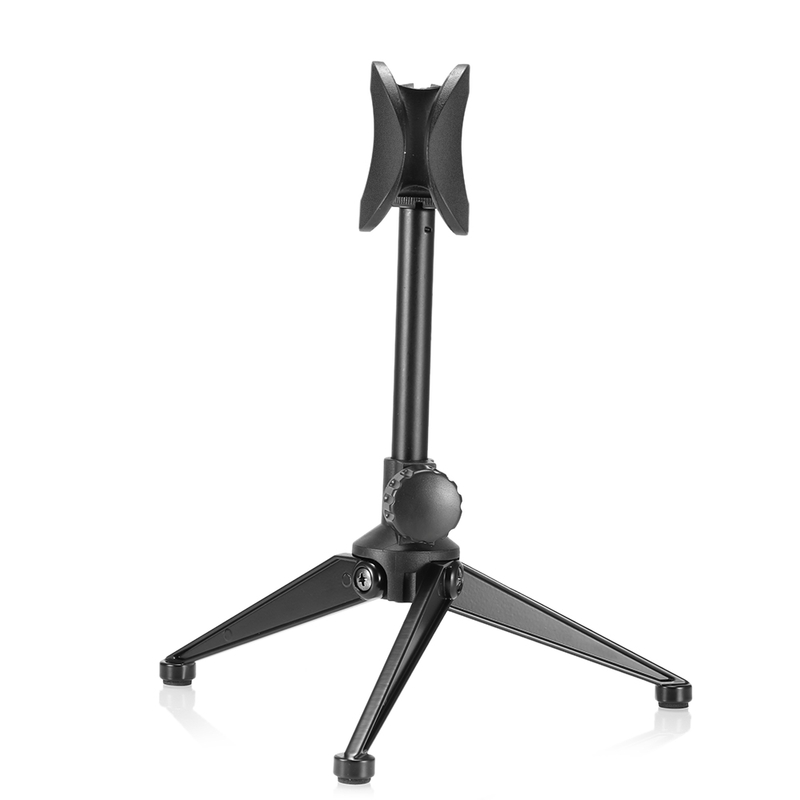 â— Made out of high quality ABS, the zinc alloy center strut is rustproof and uneasy to break or distort. 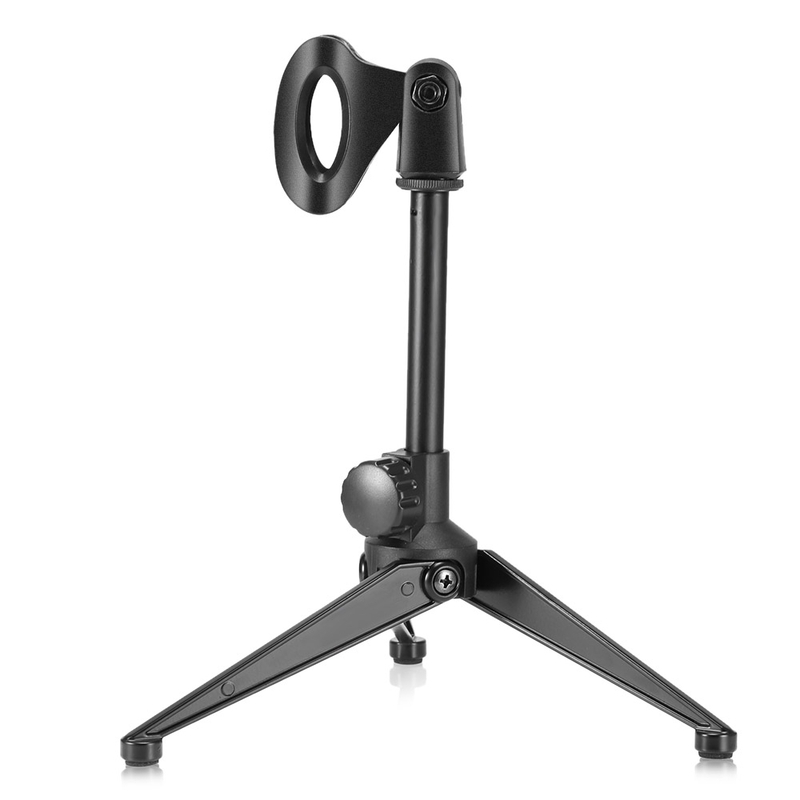 â— Compact microphone stand designed for heavy duty carrying. 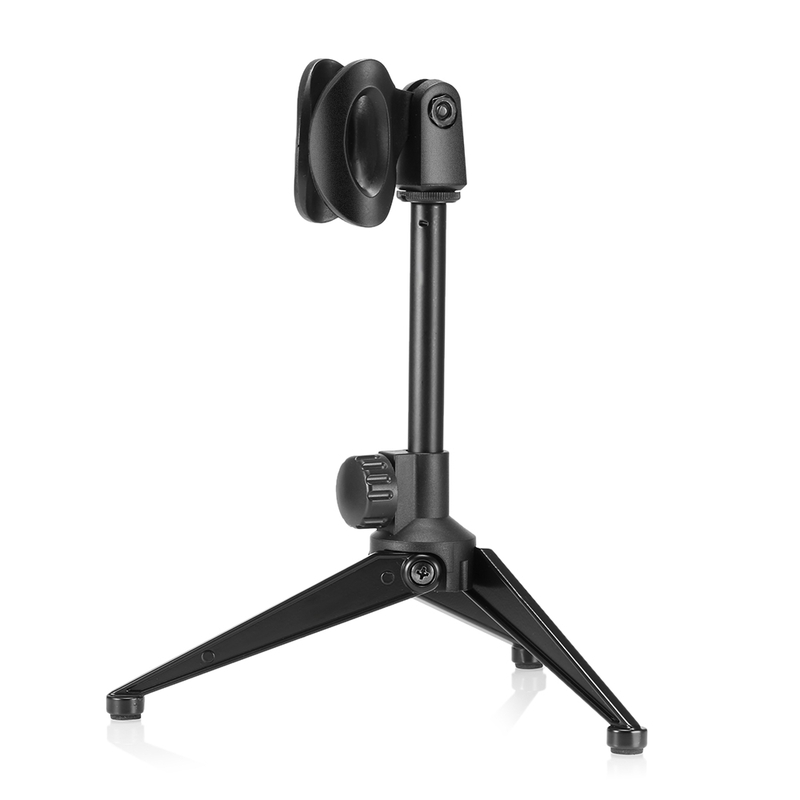 â— The microphone clip is 360-degree adjustable, can be set to suitable angles as you need. â— Open the foldable zinc alloy tripod leg to stand stably, and folding up to pack it. 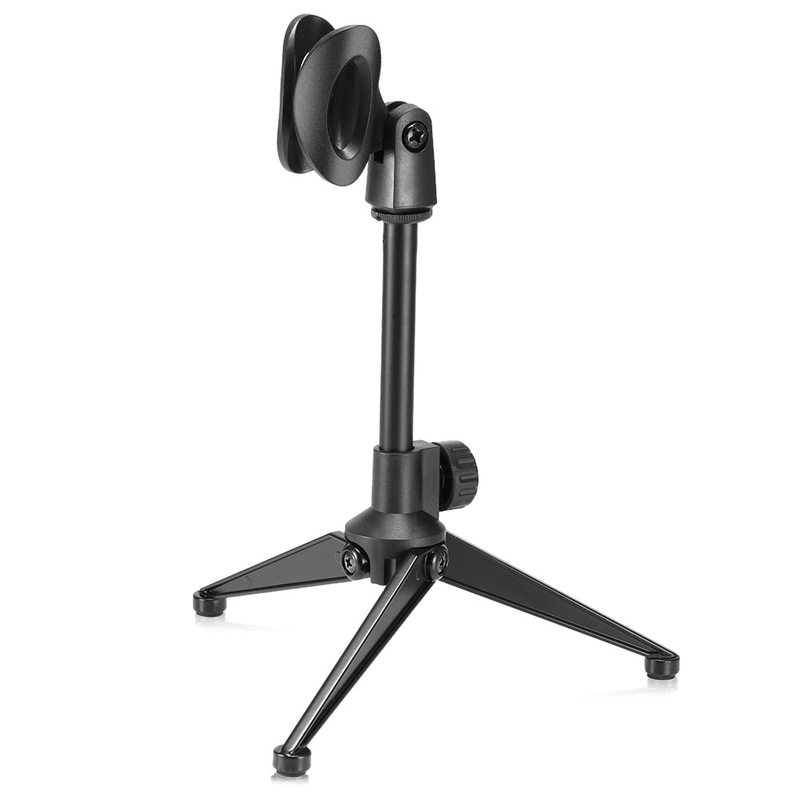 â— The equipped screw nut allows for adjusting the height easily, adjustable height from 16 to 20cm. â— Suitable for holding the microphone on the desk for meetings, lectures, speaking, podcasts, screencasts or video chats, etc. â— A standard microphone clip to mount any standard-sized handheld microphones.